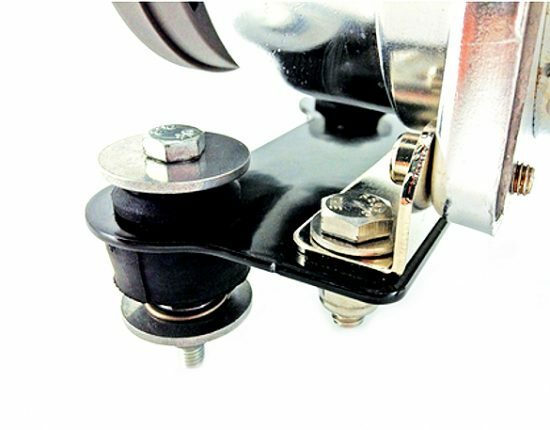 Every full throttle car guy with any significant time under their customizing belt has a list of rides that have occupied their wrench room, put their wallet on a diet, and made them want to throw tools across the garage. 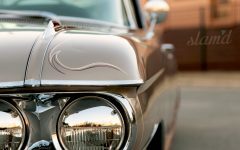 But all of the hard work, late nights, bounced checks, and busted knuckle moments seem to melt away the second the key hits the ignition and that finely chiseled piece of automotive art cuts through the air. 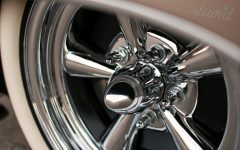 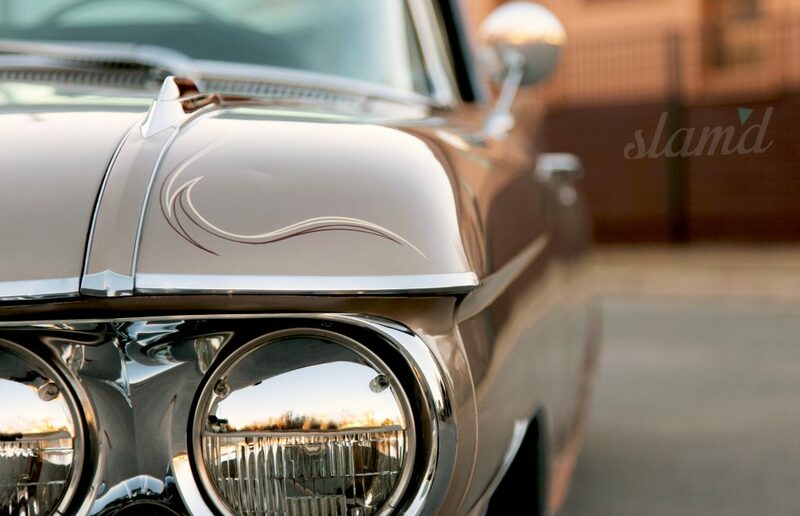 As car guys our customized vehicles are an extension of who we are and there is nothing better than mobbing down the road in something you and a group of your best buds built together while flexing your personal style from chrome bumper to chrome bumper. 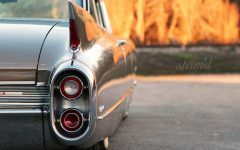 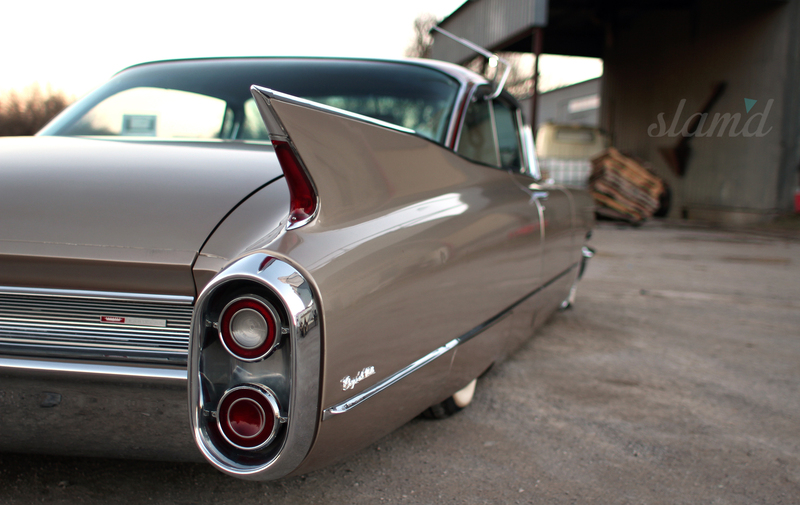 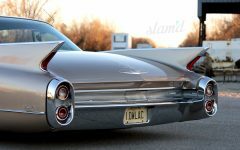 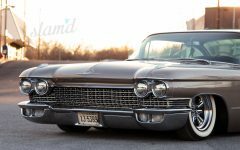 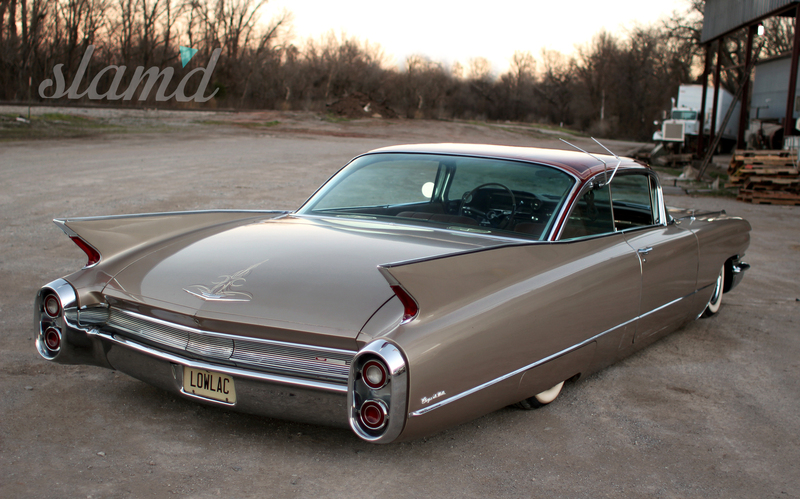 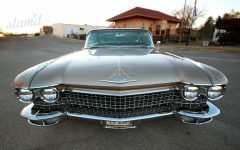 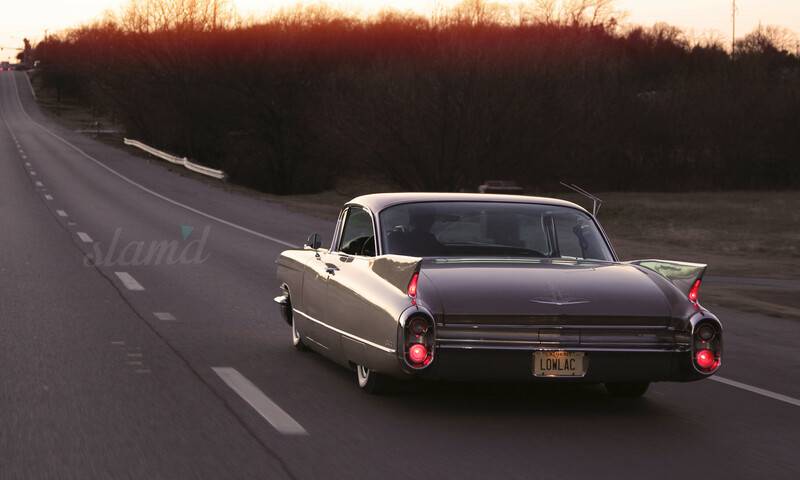 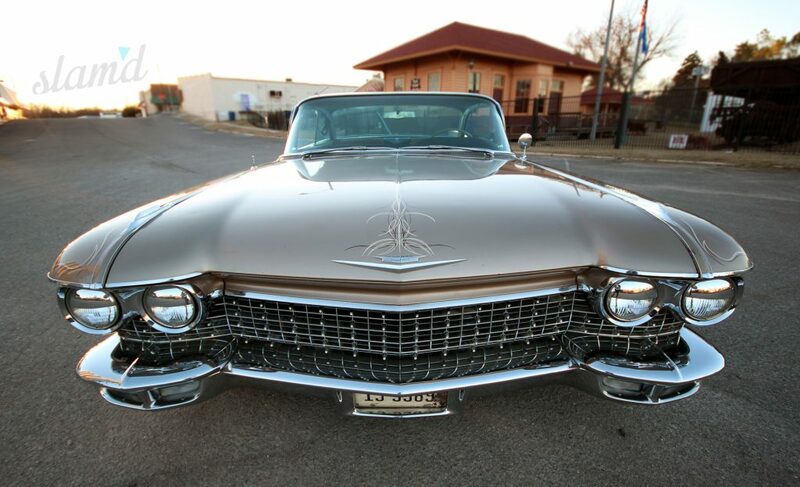 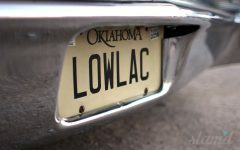 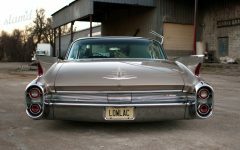 Tony Moore from Choctaw, Oklahoma has an addiction to Cadillacs and in 2012 he picked up the stunning 1960 2-door Coupe De Ville you see here laid out across these digital pages. 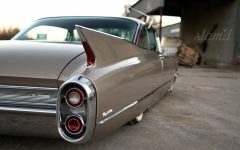 The car was formerly owned by a good friend and co-worker’s grandfather and it took 3 years of poking, prodding and consistent nagging on Tony’s part for “Gramps” to part with the classic ’60 Cad. 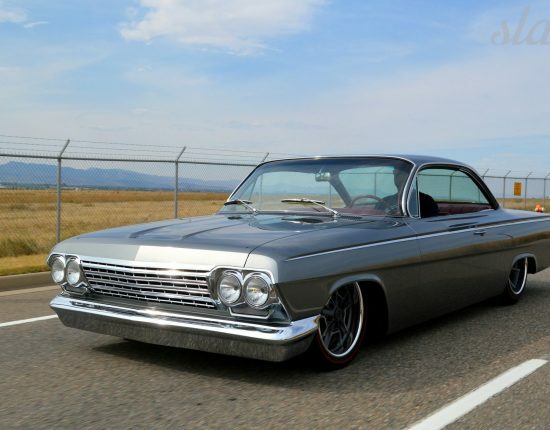 Once the car was in Tony’s clutch the plan was laid out for an old school custom with a bit of that lowrider vibe with a lace patterned roof, adjustable suspension, and Astro Supremes on classic whitewalls. 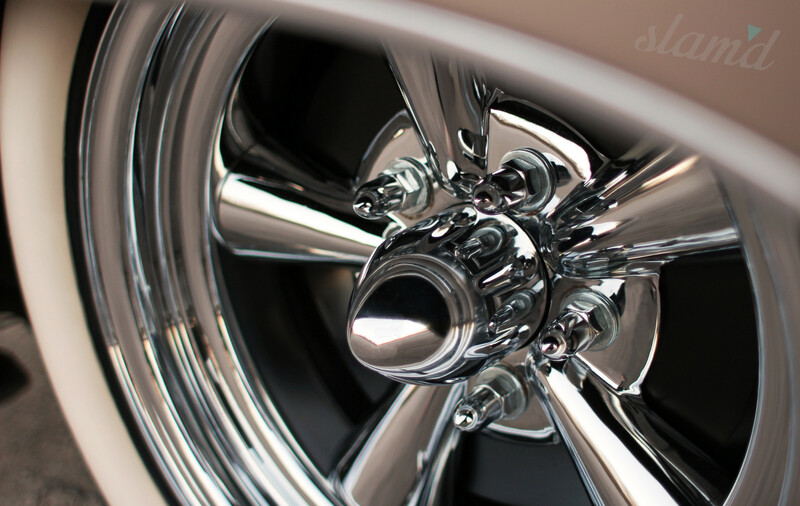 Tony envisioned a Bellflower Blvd. 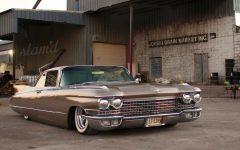 styled ’60s cruiser and got down to business as soon as the Caddy hit the pavement in his garage. 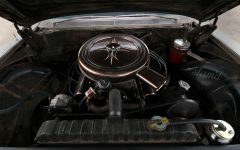 The first order of business was to get the ’60 running right. It wasn’t long before Tony got the original 390 running like a clock and installed dual exhaust from the manifolds back as well as giving the engine bay and undercarriage a freshening with a clean coat of black. 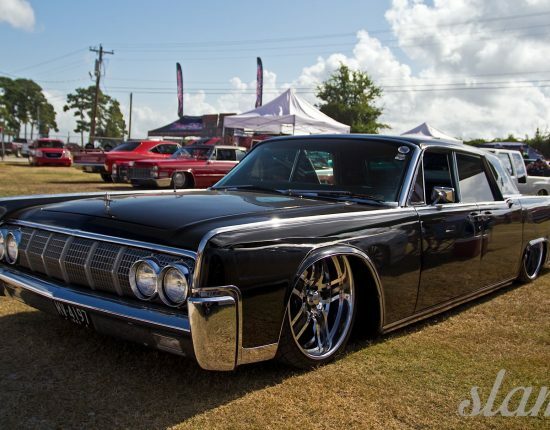 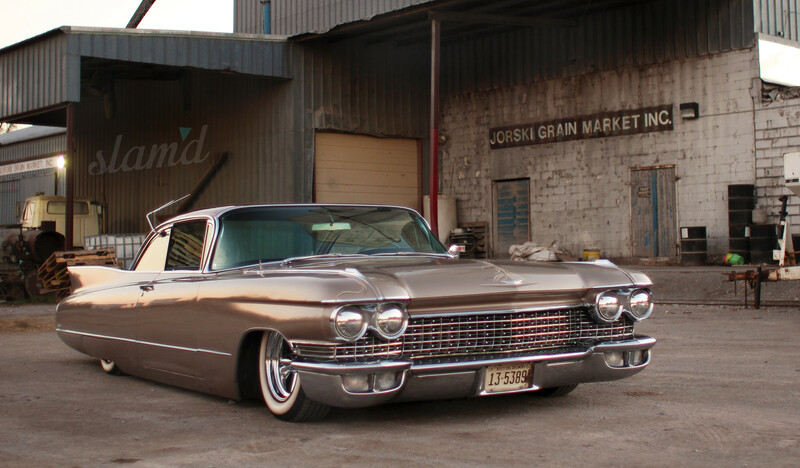 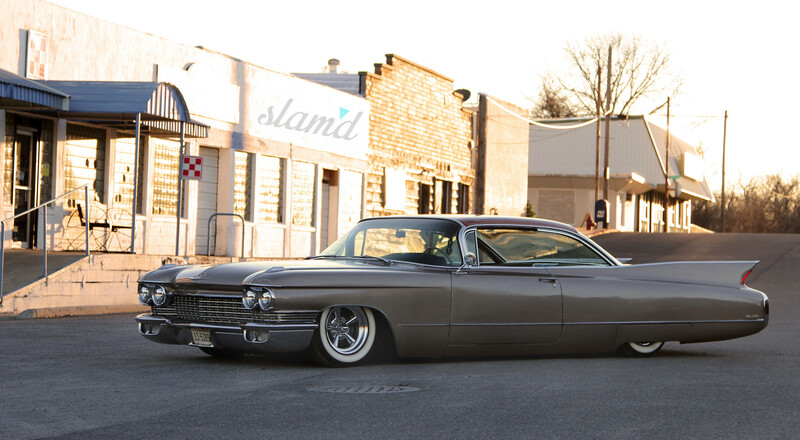 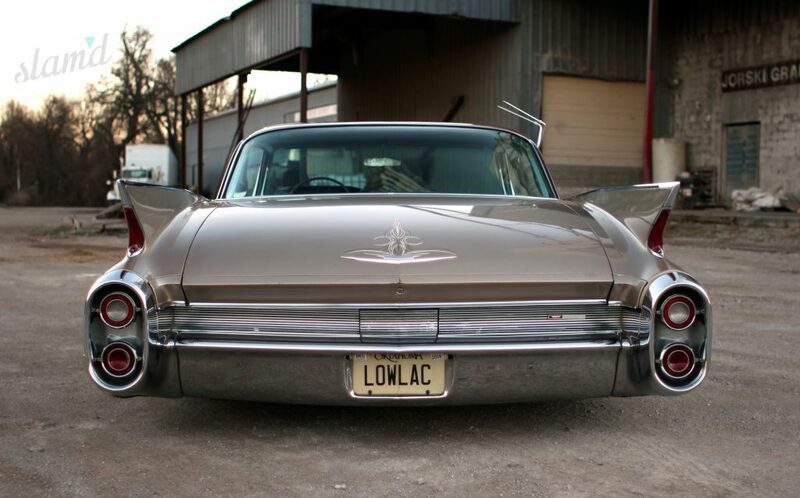 To get the stance dialed and the Cadillac down to a more respectable low, Tony and friends Eren Pierce, Justin Jordan and Jake McKiddie put this land yacht in the weeds by the way of Air Lift Dominator ‘bags at all four corners. 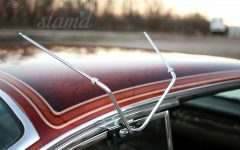 Plated front a-arms handled the adjustable demands for Tony’s itchy trigger finger as well as the shear mass of this bad Cad. 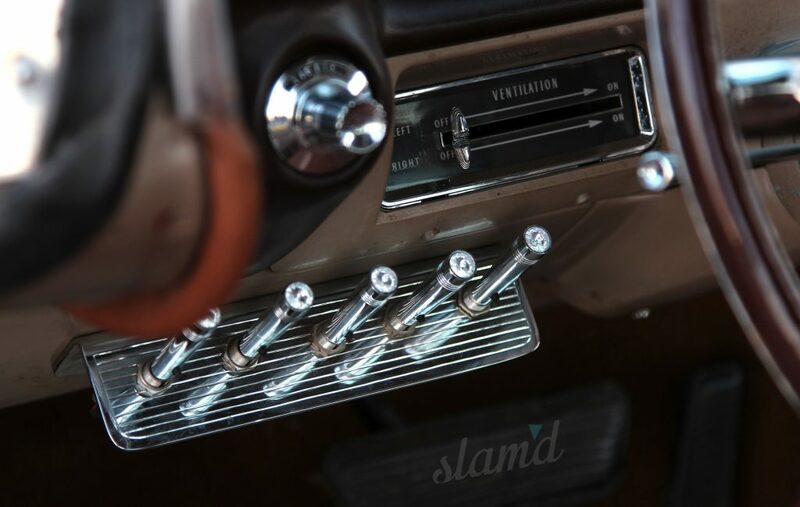 Dual 480 Viair compressors provide the air system’s life support while a custom engraved dash mounted switch plate offers convenient and worry-free adjustability. 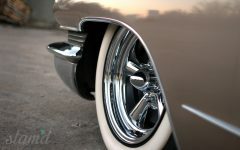 Setting off the stance are 15×6 and 15×7 chrome Astro Supremes on custom P205/70R15 radial white walls. 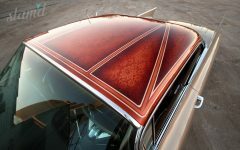 For the paint Tony turned to Charles Degand to revive the original blanket of color and splash a little pinstriping in all the right places. At the outset of the build a lace roof was an absolute must and after searching high and low Tony found the perfect lace pattern for the Caddy’s lid during a trip to visit his Mom. 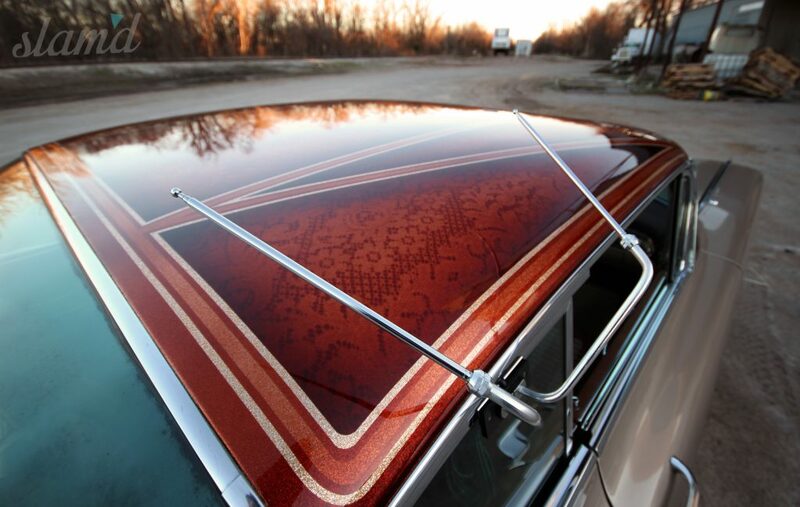 Mother’s know best, as Tony’s Mom busted out a table cloth that once belonged to his Grandmother. 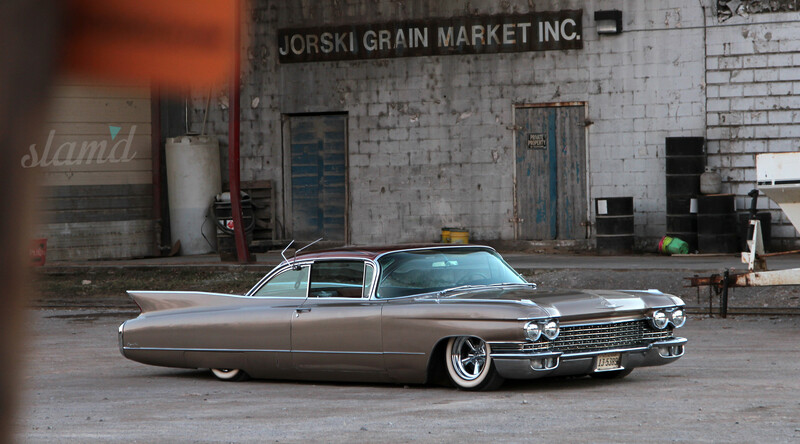 It looked right at home on the lid of the Caddy and became the basis for the design on the roof which was pulled off by Adam Acosta and Mike Hale at Acosta Airbrush & Graphics. 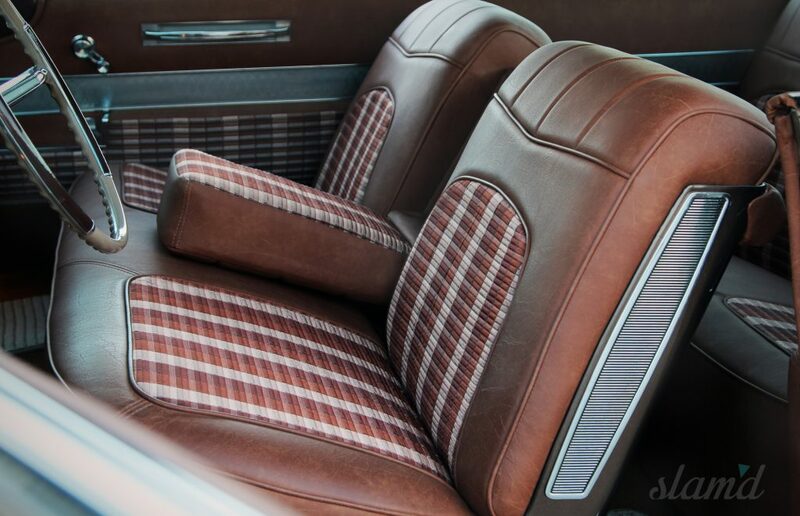 House of Kolor Candy Root Beer and Sparkle FX Flake were used to shade and fill in the custom patterns. 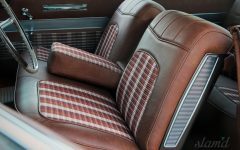 For the cruising chamber Tony sat down and designed the pattern for the seat inserts and picked the colors for a subtle yet custom touch. 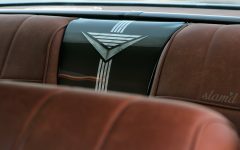 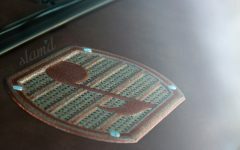 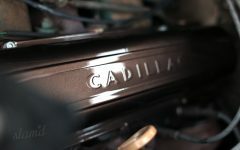 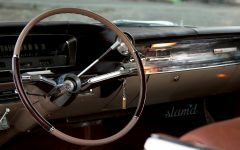 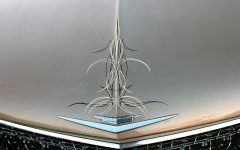 He also let the duo at Acosta Airbrush flow visual style onto anything metal, while Buddy and John at Universal Upholstery took care of the ultra slick stitch work to revive and restyle the original Cadillac seats. 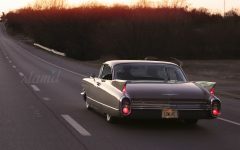 Once the final details of the spaceship’s cabin were revived there was only one thing left to attend to; cruising duties! 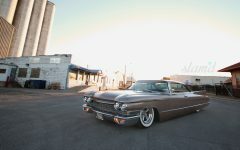 Tony enjoys rolling and showing the ’60 and the compliments he gets from people on the street and at events that range all generations. 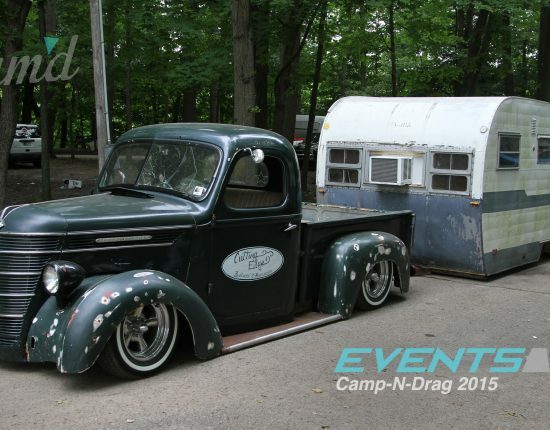 But above the stories and recognition from spectators, Tony shares that nothing beats the friendships that came out of building this Cad and he continues to cruise it with pride knowing that it was built in his garage with the help of a few close buddies.